Book - Sarraceniaceae of South America - SIGNED BRAND NEW FIRST EDITION! FREE SHIPPING, and NEW LOWER PRICE!! This work is part of an exquisitely beautiful and uniquely detailed two volume monograph that provides the first complete study of the full diversity, ecology and taxonomy of all recognised species of the three genera of Sarraceniaceae (Darlingtonia, Heliamphora and Sarracenia). Sarraceniaceae of South America examines all species of Heliamphora from the Guiana Highlands of Venezuela, Brazil and Guyana, including five new Heliamphora species along with three incompletely diagnosed Heliamphora taxa that have not been documented previously. Complete with up-to-date conservation assessments, distribution maps and accounts of the diversity, wild ecology and habitats of all species, this monograph is a major and definitive taxonomic revision of all three genera of true pitcher plants of the New World. Visually beautiful and comprehensive, these books will appeal to both general readers and specialists who are interested in the natural history, diversity, ecology and relationships of Darlingtonia, Heliamphora and Sarracenia. LIMITED EDITION - Only 1,400 first edition copies were printed, and we have SIGNED copies of both volumes available. 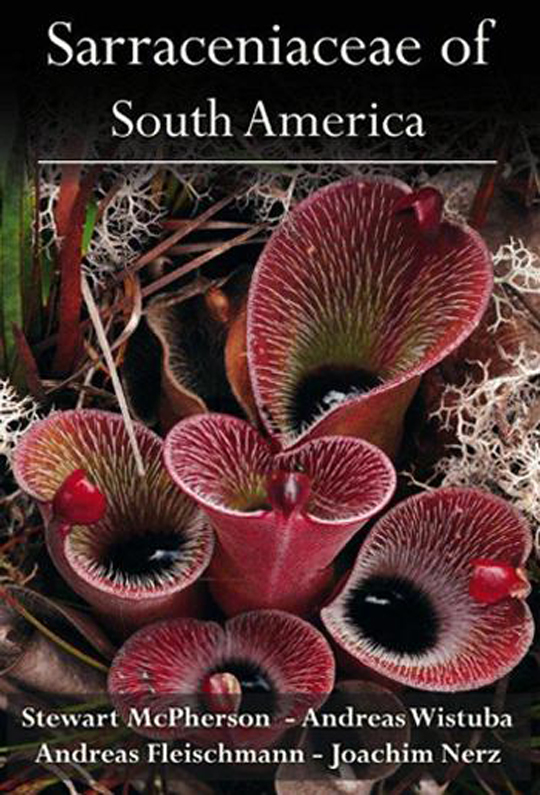 This book is sure to be a hit with any carnivorous plant enthusiast, so get your copy now! This is a signed first edition in brand new condition. Regularly $69.99, so get one while we have them on sale!